My name is Donna Gale and I am an OFSTED registered and inspected, fully qualified Childminder living in a quiet cul-de-sac in Horley, Surrey. *Competitive rates and I accept all childcare vouchers and 15 hours Government funding for 2, 3 and 4 year olds. *In a quiet area of Horley away from main roads 10 minutes walk from Horley Train station with free parking available. 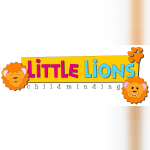 *Comprehensive coverage of the EYFS through planned and well organised activities, arts and crafts. *Fun days out to National Trust Properties, Parks, Farms, Zoo's,Toddler Groups and Rhymetime (all free of charge to children in my care). I live in a 3 bedroom house with enclosed gated garden. I have a playroom dedicated to children in my care along with a downstairs toilet. My hours of care are flexible and my fees include healthy meals, snacks and drinks throughout the day for your child. I hold a valid paediatric first aid certificate, an Enhanced CRB (Criminal Records Bureau) and am a member of PACEY. I offer full and part time places, school drop offs/pick ups, school holiday care and evening / weekend babysitting. For more information, please don't hesitate to contact me. I have been a Childminder for over 7 years. I have worked with children from newborn to teenagers, and cared for children with a range of disabilities and special educational needs. GCSE's all grade C and above. My hours are 8am - 6pm Monday to Friday. Please contact me for information regarding fees. I accept all childcare vouchers and also funding for 2, 3 and 4 year olds plus the additional 30 hour funding available from September 2017. Below are the latest reviews for Donna G. Please note that reviews represent the subjective opinions of other Childcare.co.uk users and not of Childcare.co.uk. Parents must carry out their own checks and references on childcare providers to ensure that they are completely happy before enaging in the use of their services. We asked Donna to take on T with very short notice one day a week which Donna did for us and settled him into her care soon well and really quickly. After T's first day, the rest of the week he would wake up asking to go back to see Donna. Donna always ensures the day is filled with exciting things to do. They go out to play groups and play areas and even trips to the farm. Donna used a diary to communicate with us about what T had been up to and often included a picture of something T was doing during the day. Wow Donna has been amazing with my daughter, she settled really well and soon become one of the family! Donna is very flexible and was happy to have her on short notice. Would totally recommend her to anyone looking for a childminder who is very hands on. My daughter had amazing fun experiences with her. Donna and her family were incredibly caring and supportive in helping settle our son. As two working parents it was reassuring to know that our son was being cared for and looked after in a world of calm and fun - nothing was too much trouble if we were delayed or wanting extra care Donna was always very understanding. J is thriving and certainly his early days care with Donna were a fantastic start. Donna looked after my Son from January 2011 until September 2015 (when he moved on to school). Donna and her family were incredibly caring and supportive in helping settle our son. As two working parents it was reassuring to know that our son was being cared for and looked after so well in a world of calm and fun - nothing was too much trouble if we were delayed or wanting extra care Donna was always very understanding. J is thriving and certainly his early years in Donna's care were a fantastic start.